Arcadia has left Bremerhaven and is on her way back to Southampton. The Southampton VTS site is saying that her expected arrival time is shortly after midnight tonight (Sunday) – you’ll need to dig around in the site to find the expected time of arrival, but start by looking at ‘Live Information’ then go on from there. She will then have all day Monday at Southampton before departing for her next scheduled cruise on Tuesday, a 24-night ‘No Fly’ cruise to the Caribbean. I have a feeling that when she returns from that she’ll be off on her 2014 world cruise. 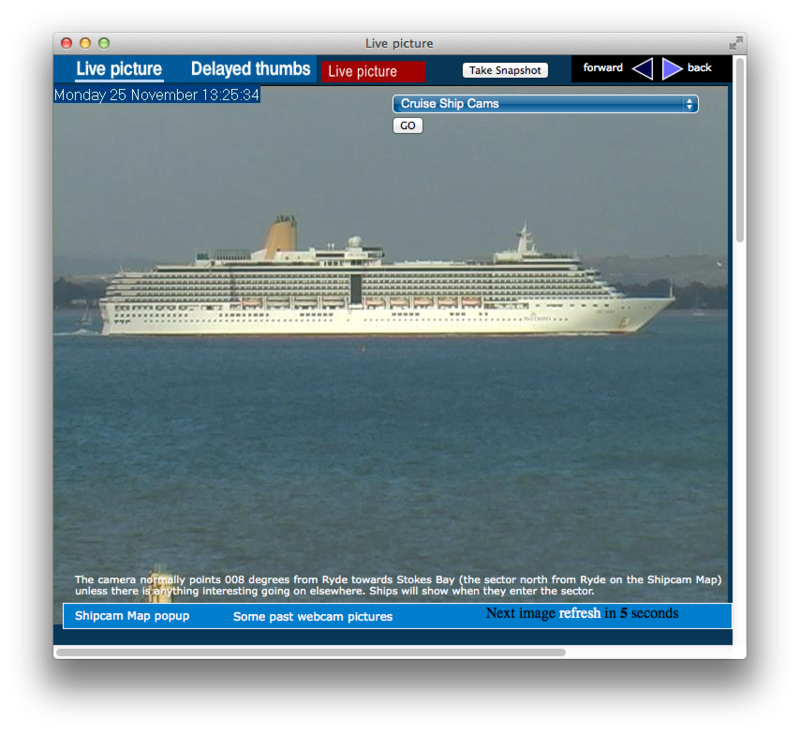 I had been hoping that she’d return to Southampton during daylight hours as I was hoping to grab a web-cam shot off Ryde. That would have allowed a ‘before and after’ comparison with this one I took on her way out. But never mind. 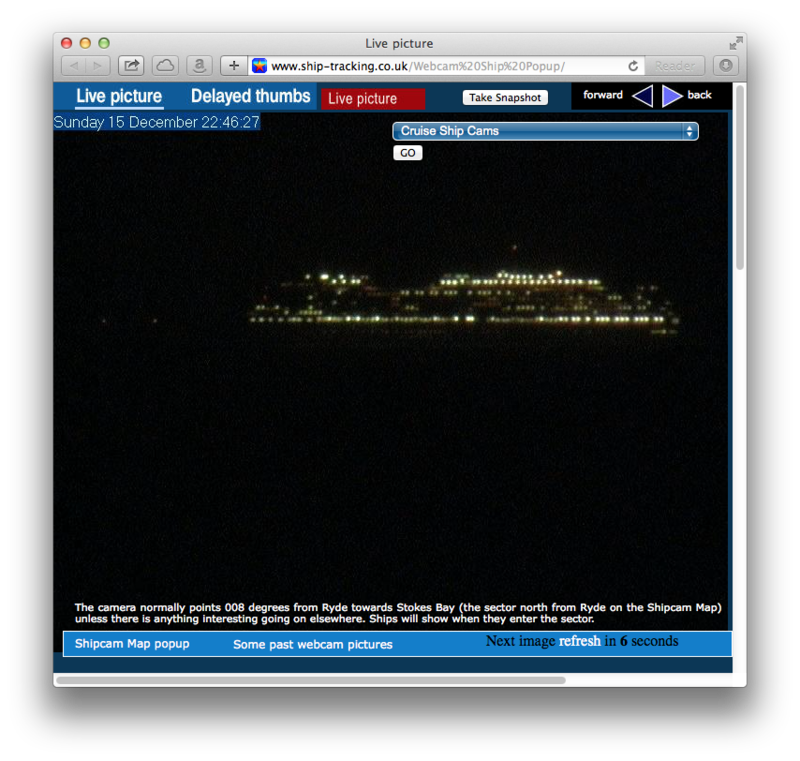 Update: Arcadia came past Ryde at 10:46 pm and just for the sake of it, I grabbed a webcam image, as seen below. Not especially revealing, but there it is.